Abu Dhabi-UAE: 05 April, 2016 – Emirates Motor Company (EMC), the authorised general distributor for Mercedes-Benz in the emirate of Abu Dhabi and the flagship company of Al Fahim Group, has opened a new branch for its certified pre-owned Mercedes-Benz cars at Deerfields Mall in Abu Dhabi. Held on 4 April, the opening ceremony was attended His Excellency Mohammed Abdul Jalil Al Fahim, Chairman of Family Council, Mark De Haes, CEO & President of Daimler Middle East & Levant (DMEL), and representing Deerfield’s Mall was Ms. Banu Tas, Vice President of Asset Management and Retail at Mubarak & Brothers Property & Financial Investments. General Manager of EMC Passenger Cars, Nassim Mourani was also present among other senior members of the Al Fahim Group and the regional office of DMEL. 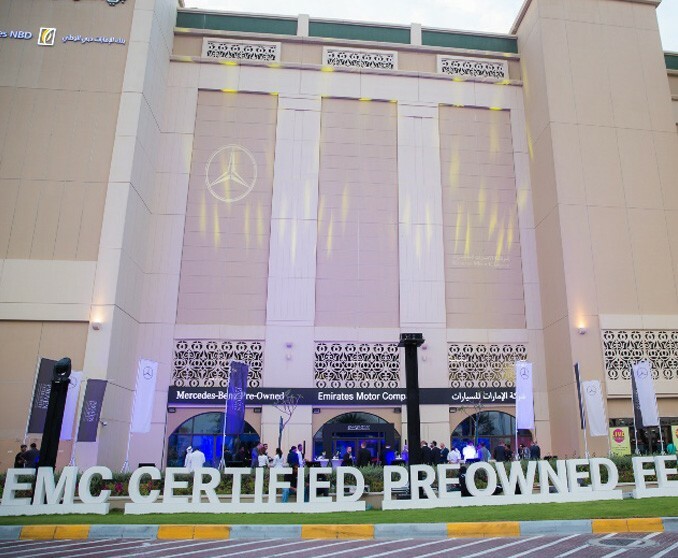 The launch of the new showroom is in line with EMC's ongoing efforts to expand its network of branches for pre-owned Mercedes-Benz cars in Abu Dhabi and meet the rising demand for used luxury cars. EMC’s pre-owned vehicle sales reported two consecutive years of double-digit growth, posting a 27% surge in 2013 - 2014 and a 17% rise in the 2014-2015 fiscal year. Customers can benefit from a wide range of high quality Pre-Owned Mercedes-Benz cars. The showroom showcases a complete lineup of Mercedes-Benz vehicles that have undergone stringent testing and quality checks in order to meet and exceed our customer’s expectations.